Left front is Marie-Antoinette and next to her is Magdeleine. Back is Jacques and Anne, who is eight years old. When St. Thomas Aquinas’s sister asked him how to become a Saint, he told her to just “will it.” Venerable Anne de Guigné¹ was a child with an iron will and from the moment of her conversion, she willed only one thing…to be a Saint. “To become a Saint is to persist,” she said. Though she lived for a short time, she excelled in overcoming her natural inclinations, generously and heroically accepted the sufferings that God sent to her. Ven. 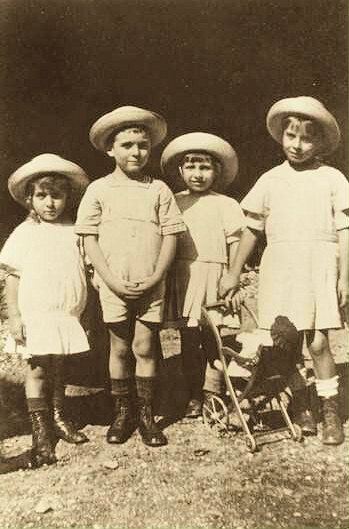 Anne de Guigné, the eldest of four children was born on April 25, 1911 to Count Jacques de Guigné and Antoinette de Charette. The Count was a second lieutenant in the 13th Battalion, Chambéry of Chasseurs Alpins. Anne’s maternal grandmother, Francoise Eulalie Marie Madeleine de Bourbon-Busset was a direct descendant of the sixth son of King St. Louis IX of France. Anne’s Mother was the great-niece of General François de Charette, one of La Vendée leaders. 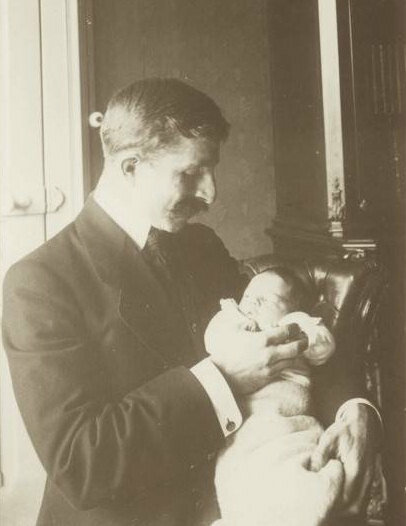 Anne with her father 1911. Ven. Anne died when she was 10 years old, though short, it was full of suffering and joy, but she wasn’t saintly at first; in fact she was a little tyrant. One doctor, who came to visit the child who was very ill, found it impossible to examine her and a furious command came from Anne, “Take your hat and go!” Such scenes were not unusual. Her grandfather said once, “I feel sorry for her Mother 20 years from now.” Anne was intelligent, perfectly frank, courageous and when she wasn’t being troublesome, she could be very loving. Though if anyone showed resistance to what she wanted to do, there was trouble! When Jacques (Jojo) was born 15 months after Anne, she became very jealous, throwing dirt in the baby’s eyes and she even kicked him once. Thankfully it didn’t last long and she was very happy to be the oldest. 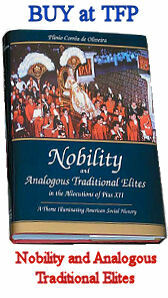 Anne was haughty, vain difficult to handle and her first 4 years were the worst. This behavior was soon to change and with it a saintly, little girl emerged. 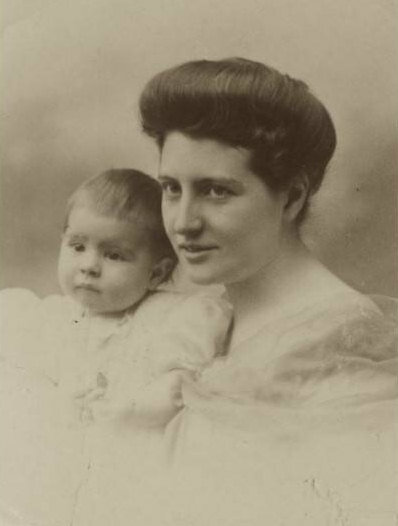 Anne with her Mother, Autumn 1911. 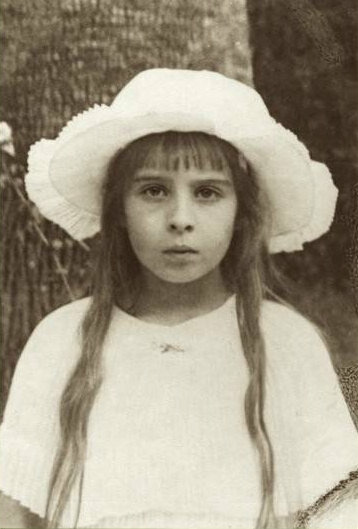 In September 1913, Magdeleine was born and January 1915 Marie-Antoinette was born. Anne was the Godmother of Marie-Antoinette³, who everyone called Marinette. 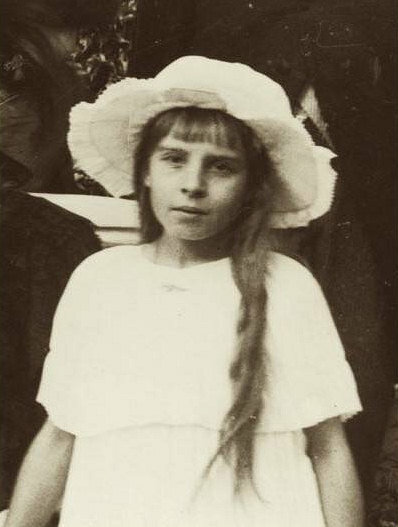 When Anne was 3 ½ the war broke out between France and Germany and her father, though retired, was sent to the front lines. A month later he returned home, severely injured. Anne, who loved her father immensely, took upon herself to look after him, fetching books and even arranging his cushions. Recovering from his wounds, Lieutenant de Guigné left again for the front lines only to return a few days later wounded worse than before. Despite not being healed sufficiently, Lieutenant de Guigné insisted upon returning to his men. In February, being seriously wounded, he was sent to a hospital in Lyons for an operation. Taking Anne with her, Madame de Guigné went to Lyons and pointed out the suffering soldiers to Anne, who was moved at the sight. Jacques de Guigné, father of Ven. Anne. On May 3, Feast of the Holy Cross, feeling better the Count left again for the front line. The Germans, who had invaded France, were trying to take Paris. 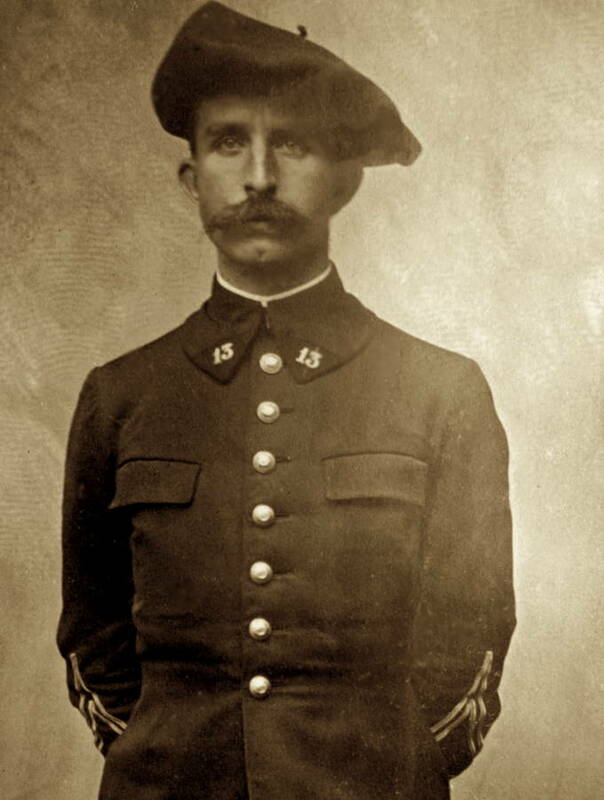 In Alsace, on July 22, 1915, Lieutenant de Guigné, having received absolution, led the attack with his men. With a large sign of the cross and charging from the trenches, Lieutenant de Guigné was killed. The news of his death was delivered to his wife on July 28th. In the morning, the grieving widow told Anne about her father’s death. Tearfully Madame de Guigné said to Anne, “If you want to comfort me, you must be good.” Gazing long and thoughtfully into her Mother’s eyes, she realized that in order to please God she must be good and Anne resolved to be good and please her Mother. Her father’s death was the beginning of Anne’s conversion. 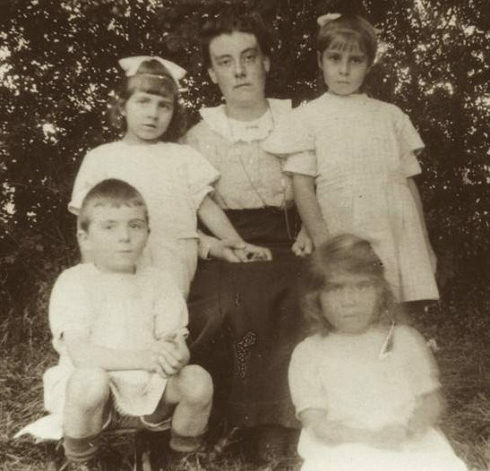 All day long, Anne was thoughtful, trying to make the other children behave. “You must be good Jojo, because Mother is sad.” From this time on there was no more tempers, nor selfishness. This huge change did not come easy for Anne; though no one would have guessed the daily battle within herself she fought. 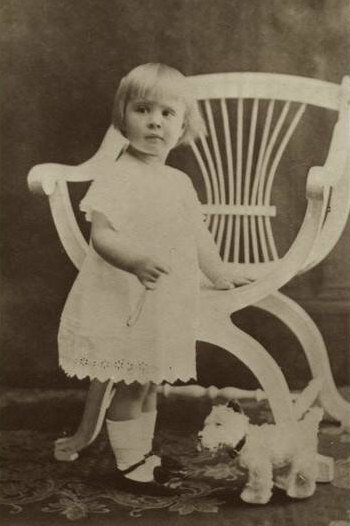 Anne aged two and a half, 1913. “When very small, before the age of four, obedience was very difficult for her. She used to resist violently. 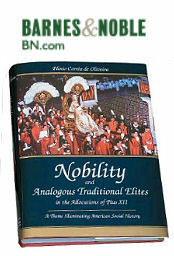 From the time of her conversion, however, she started to control herself and achieved unquestioning obedience which cost her a great deal,” Madame de Guigné. Shortly before Anne’s conversion, Madeleine Bassett found Anne standing on a chair surveying her reflection in the mirror with some satisfaction. “I’m rather pretty, don’t you think so,” said the four-year-old. The governess replied that it was a waste of time to admire yourself, since beauty is a gift of God and we should not be vain about it. Anne jumped down from the chair and never praised herself again. 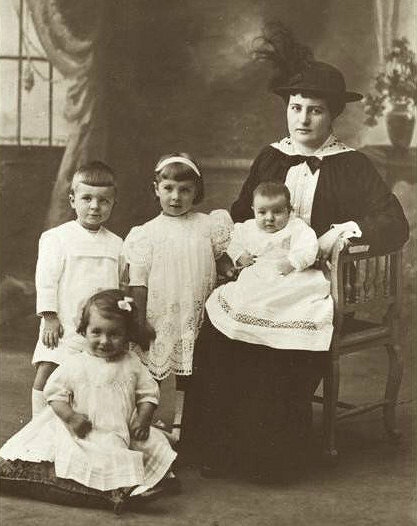 Jacques, Magdeleine on the cushion, Anne, and Marie-Antoinette on Madame de Guigné’s lap, May 3rd, 1915. 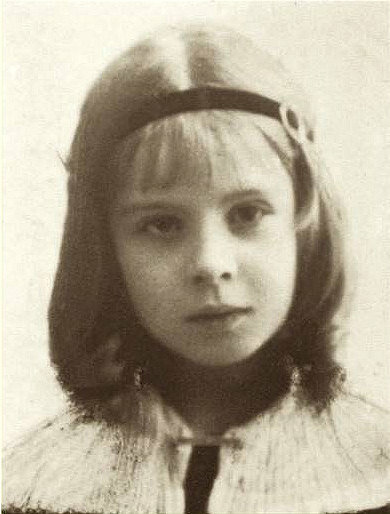 “From the age of four until her death, her striving for perfection never faltered. There was nothing spectacular, no amazing facts but everything she did was inspired by the Holy Ghost and she put all her love into it,” Madame de Guigné. 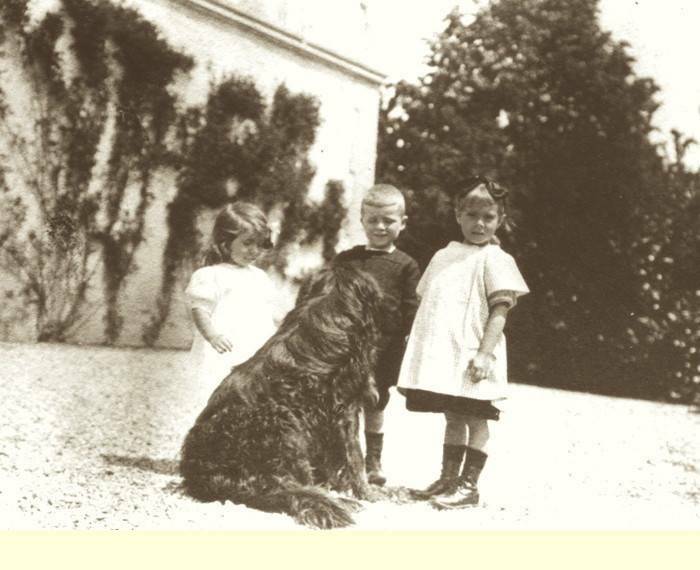 Anne, aged about six, with Magdeleine, Jacques and Rajah, the family dog . Mother St. Raymond began to prepare Anne for her First Confession and was surprised that not only did Anne know her faults, but she had also carefully analyzed them, with gravity and precision. When asked if she was afraid of her First Confession, “Afraid of the priest! 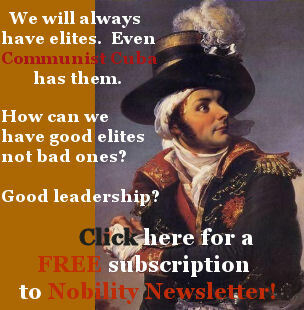 Why should I be? You said he would be acting as Our Lord!” Anne’s Confessor, Mother St. Raymond, and Madame de Guigné requested from the Bishop that Anne be allowed to make her First Holy Communion, but the Bishop, seeing that Anne was only 5, refused the request. After arguing the matter over, the Bishop finally agreed but only on the condition that she be put through a rigorous examination by the Superior of the Jesuits, who viewed the examination as a waste of his time. Everyone was apprehensive and nervous about the interview, except Anne, who want to receive Our Lord and was determined to change the Superior’s mind. Anne, almost nine. “I asked her ‘Do you love God?’ She answered me with such intensity in her eyes and her whole body: ‘Father, I love Him with all my heart and soul!’ I have never forgotten the ardour of the love that she radiated,” Father Jacquemont. The learned Jesuit questioned Anne with a series of random questions and quickly became convinced that she was perfectly prepared. He became so interested in her that he prolonged the interview for some time, questioning her on all sorts of subjects and even probing Anne’s conscience. “What is your chief fault?” he asked. “At Mass,” Anne quickly responded. Finally the interview was over and both the Superior and Anne emerged, smiling, much to everyone’s great relief. “I wish you and I were as well prepared to receive Our Lord as this little girl is,” the Superior said. All obstacles being now removed, Anne joined the First Communicants’ retreat at the Convent. The theme being, “Obedience is the sanctity of children” which Anne took to heart and for her to know was to act, so it was done. From that time forth, she was practically perfect in obedience. “You must offer everything to our good Jesus. I want my heart to be as pure as a lily for Jesus,” Anne said. When Anne made her First Holy Communion, it was March 26, 1917, a Monday in Passion Week and the feast of Our Lady’s Assumption, which had been transferred to the 26th since the 25th fell on Passion Sunday. Her First Communion resolution was: “I will give my sacrifices to Mary, so that She may give them to Jesus.” She was never known to refuse a sacrifice. That day, Anne wrote: “My Jesus, I love You and to please You, I resolve to obey You always.” Anne had a great devotion to Our Lady and Our Lady of Sorrows for her was “Our Lady of Consolation,” and this was the title she gave to a little statue in the garden, near where the children played. Here she would go to beg for help when the struggle for self-control became very hard. Anne constantly remembered to make sacrifices but when she was “taking care of a sinner” she increased them. She never shied away from a sacrifice and she gave each one of these sacrifices to Our Lady, so that She might present them to Our Lord. At one time, Anne learned that a very ill man had not gone to church from the time he had made his First Communion. He wanted to die that way, for he would not even look at the face of a priest. Anne resolved to win that soul back to God. She went to Mass with her mother and she prayed for this man. Later in the morning, she went back to the church again. She knew it was going to be hard to win this soul. “Mother, has he gone to confession yet?” she asked. “Come, let us pray again.” They went back to the church a third, a fourth, and a fifth time to pray that day. The next morning, Anne heard the good news: her sinner had received the Last Sacraments. 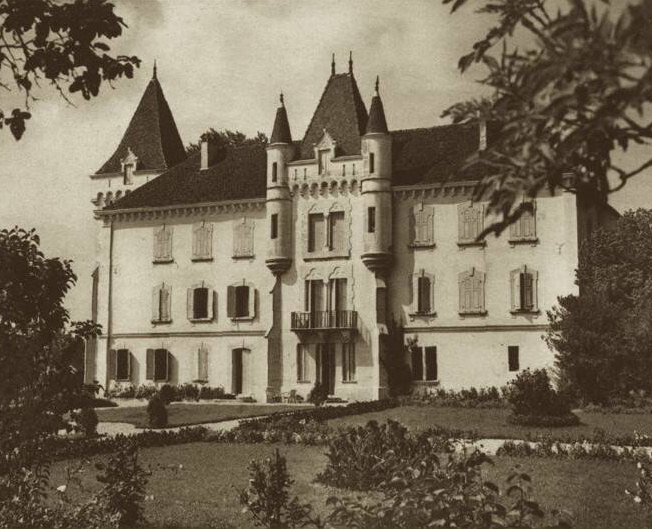 The family Chateau de La Cour, which overlooked the Lake of Annecy. “I live in a château too, and it’s even the most beautiful in the country,” Anne once said. The family lived here for most of the time till they went to their winter home in Cannes. 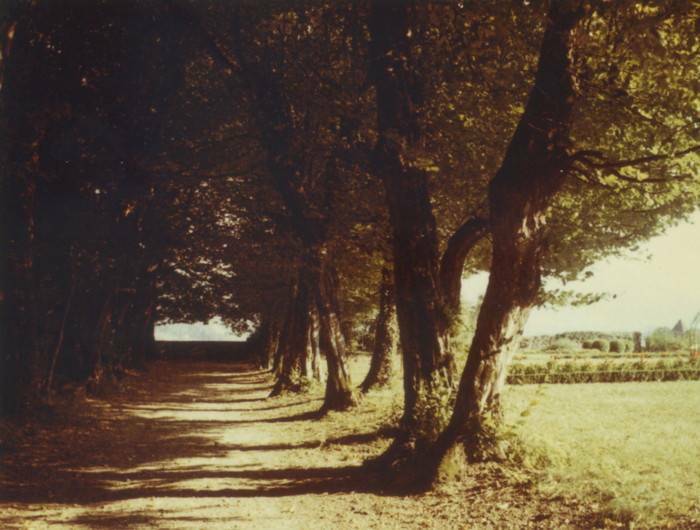 The tree-covered walk at La Cour, where Anne and her siblings liked to play. Once Anne saw a poor old man walking in the distance and she asked the governess for some money, since she didn’t have any in her purse. Smiling, Anne ran to give the man the money, who in turn thanked her, saying that a holy child had given him the alms. Another time, a fire destroyed a poor house nearby and Anne, hearing that the widow and children were without a home, asked her Mother if they could hold a bazaar. The four children made tea sets out of acorns, shelves for the display and desserts for the ‘tea set’ and sold, as Anne said, “at a very expensive price, since it is for charity.” The ‘customers’ were Mother, Grandpa and Aunt Paula, who were happy to pay, which the de Guigné children happily took the proceeds to the widowed family. 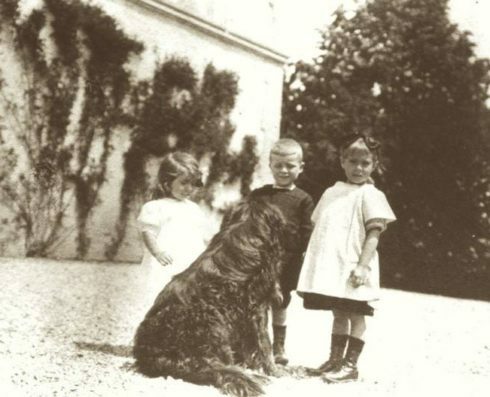 Marie-Antoinette, Jacques, Magdeleine and Anne, September 1919. Throughout her life, her effort to control her temper and her inclinations were a struggle and sometimes you would see her clenching her fist saying, “Oh, how I want to get angry.” Or she would say, “I am making a sacrifice.” She even told Jojo, “Do you think that it is fun not to do what you feel like doing?” But Anne kept the good fight and rarely let her guard down. Autumn 1921. “It was God’s grace which accomplished everything and she followed the movement of this grace. The more she gave, the more God gave her in return and the more Anne gave again. It was a perpetual movement towards the increase of love,” Mother Saint-Raymond. Her headaches returned in December of 1921, but the doctor did not think it was any cause for alarm, since Anne did not seem worse, only a little calmer than usual. But on December 19, 1921, Anne’s headaches became so severe that she was taken to her room. 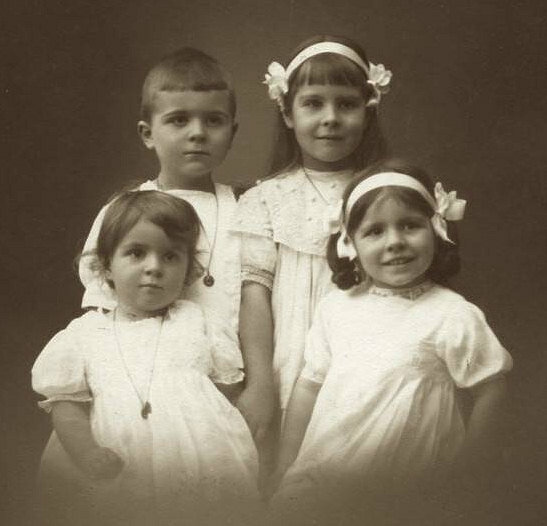 “Poor Nénette, is it very bad?” asked on her sisters. “Yes, but it will soon be over,” Anne quietly answered. The doctor still did not think it was anything serious until December 27th, when he saw that Anne was in a coma and that she had meningitis. By afternoon she regained consciousness, but the horrific headaches, fever and back pain made her face contorted due to the pain and it was heart wrenching to look at her. She resolved: “I wish to offer my sufferings as Jesus did on the Cross.” With incredible strength, she never uttered any complaint or cry. “You are comforting Jesus and converting sinners,” her Mother reminded her. She responded: “Well then, if this is so, I wish to suffer even more.” She was heard to say occasionally, “Oh, dear Lord, I am completely done!” Once, when she was semi-delirious, they heard her cry out, “Have I been faithful, Lord? Little Jesus, I’m afraid I haven’t been brave. I’ve not prayed enough. Dear St. Anne, have pity on my sins.” Nearing her death, Anne would never speak of her approaching death in front of her Mother, so as not to cause any suffering to her Mother. Severe insomnia increased the pains, but throughout her sufferings, Anne would always thank anyone who did something for her. Even when her Confessor came to hear her Confession and to give her Communion, before the priest left the room, she called him back and thanked him as she had forgotten to do so before. The last photo of Anne a few weeks before her death. On December 30th, Anne received Last Rites, as her condition became steadily worse. On New Year’s Day, she seemed to be feeling much better and Madame de Guigné had a Mass of Thanksgiving said. Gathering all her energy, Anne wished everyone a happy new year, but two days later the doctor told Madame de Guigné the terrible news. Anne’s chest muscles were paralyzed and for several days Anne would have attacks of suffocation that lasted for hours. For two weeks she suffered in this manner and on the night of January 13, Anne asked her Aunt, who was a nun, “Sister, may I go with the Angels?” “Yes, my dearest little child.” “Thank you, Sister. Oh thank you.” At 5:25 am, Saturday, January 14, 1922, Anne obediently looking one last time at her Mother, died. 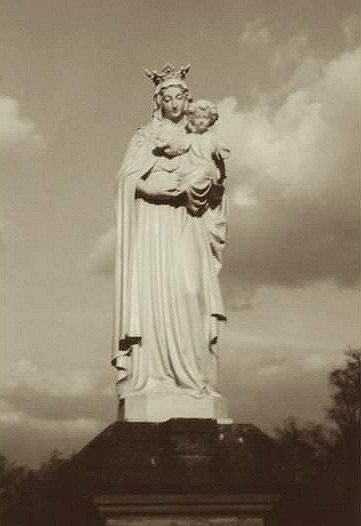 In 1932, the Bishop of Annecy, opened the canonical investigation into Anne’s life. On October 30, 1933, the family vault was opened and the examination of the remains of Anne took place at de Guigné home. Her body was found to be perfectly preserved, with no signs of decay by the two doctors present. Two nuns decorated a new casket and Anne’s body was placed back in. Meanwhile 300 people had been waiting outside in the cold rain and icy wind for over an hour. All were finally allowed to come and file past Anne’s body, giving to two priests any article that they wished to have touched to Anne. The casket was placed inside another casket and locked again in the family vault. On March 3, 1990, Anne de Guigné was declared Venerable. 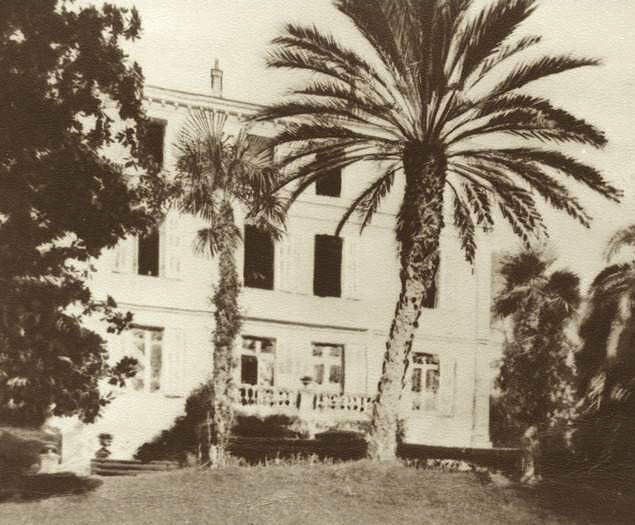 Villa St. Benoît in Cannes, where Venerable Anne died. This was there winter home. Anne’s bedroom was on the first floor (the two windows in the center). One day in Annecy, Madame de Guigné was called to assist a man who had been picked up terribly injured after an accident. He was quickly taken to the hospital, but the doctors, intending to operate immediately, said it would be impossible to save him. Madame de Guigné worried about the state of his soul and implored the medical staff to have him see a priest before the operation. The impatient doctors said, “Impossible, Madame. The man cannot speak, and he is never likely to speak. There is not a drop of blood left in his body.” “Oh yes, he will, but there is not a moment to lose,” answered Madame de Guigné and turning prayed to her daughter. Miraculously the man regained consciouness, made his Confession and followed the priest while he administered Extreme Unction. The man died two hours later. 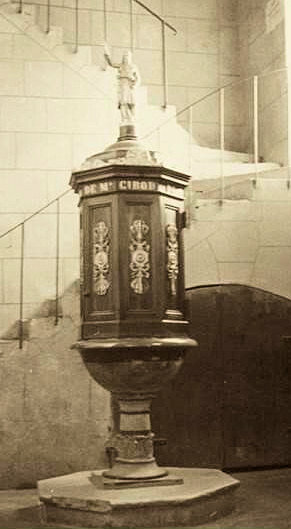 The Baptismal font where Anne was baptized in Annecy-le-Vieux. ¹ Guigné is pronounced Geen yaý. 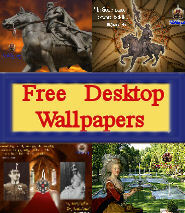 ² Le Reray was the large family mansion in the province of Bourbonnais in the small village of Aubigny, France. ³ Ven. Anne’s sister, Marie-Antoinette, because a Dominican nun, Sister Anne de Saint Jacques, O.P.. She died on February 9, 2003.